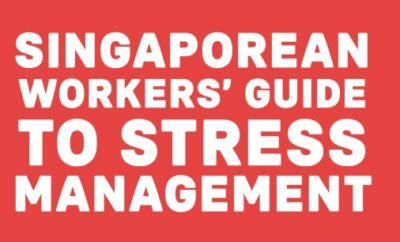 Singapore has a well-earned reputation as one of the most stressful countries to work in. Work stress can come from multiple sources, such as long working hours, heavy workloads, extensive job responsibilities, tight deadlines, demanding bosses and other unexpected difficulties that crop up. While workers here can certainly try to take steps to reduce the stress we experience at work and prevent burnout, what happens if work stress is unavoidable? Biologically, the reason why stress can be paralysing is an in-built fight-or-flight response in humans. This may trigger unpleasant feelings, such as dread, anxiety, and powerlessness, towards our work. This can grow to a point where even the simplest tasks may become stressful to think about or deliver on. One common reaction is avoidance, where employees are not vested in the results, under-deliver and quit. However, fleeing is not an ideal reaction to stress. If you decide that you can’t be fleeing or avoiding your work, whether it’s a deadline, a co-worker, or a situation, you can muster the courage to stand your ground and confront the source of your stress head-on. Reaffirming the fact that you are in control of how you react to your situation can be immensely empowering. 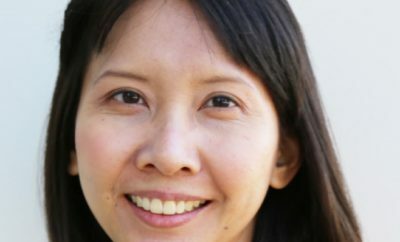 By focusing your attention on what you can do, you shift away from feeling like a victim of your situation, and instead take on the role of a protagonist. Taking action is what will determine whether your dire situation remains unchanged, or whether something positive and constructive can come out of it. It is easy to feel discouraged, thinking that the task is too overwhelming, or that your efforts are inconsequential. Rome wasn’t built in a day, and neither will your goals be achieved without time and effort put into it. That’s why it is important to have a concrete plan of action that builds towards your desirable outcomes. What does winning look like for you? What does the next step look like for you? It might take days, weeks, or even months for you to achieve your eventual goals in your workplace, thus having a measurable roadmap allows you to remain focused and motivated during this entire process. With this, you can better convince your stakeholders and team members to offer you the resources and support you need. Rather than bemoan the fact that things aren’t rosy, celebrate the fact that you have a golden opportunity to overcome these great challenges which will help you grow personally and professionally. You will never earn a battle scar if you’ve never fought a battle. Similarly, you can’t truly develop your capabilities without taking on responsibilities that challenge you to work harder and think deeper about solutions. What better way to make a name for yourself in your workplace than to surmount an “impossible” situation? When you do, you become an indispensable member of your team and company. Your growing reputation to take on bigger challenges will also put you in a good position to discuss your growth objectives with your boss. To do all that and achieve the best results you can in the office under stressful circumstances on a daily basis, it is important that you keep yourself in healthy – physically and mentally. To encourage you to lead a healthier lifestyle and make healthier decisions, the AIA Vitality programme can be an additional source of motivation. 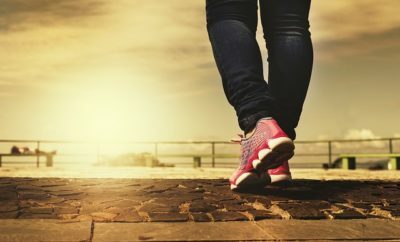 You can take active steps toward your health goals, such as walking more, making healthier eating decisions and cutting down on unhealthy habits, while receiving insurance premium discounts as well as lifestyle, travel and entertainment-related rewards. 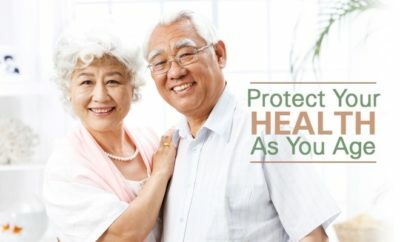 As a committed partner for life, AIA also introduced AIA Beyond Critical Care, a critical illness plan that offers protection against major stage critical illnesses, re-diagnosed or recurred critical illnesses and – a market-first – coverage for mental illnesses. The plan provides support to you financially, as well as gives you access to personalised medical support. 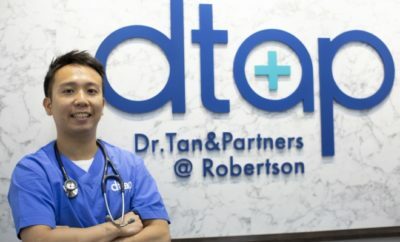 What’s more, this unique plan provides a 100% refund of your total annual premiums (less any claims paid) at the end of your policy. No matter what life throws your way, rest assured that AIA has your back. The first of its kind to be held in Singapore, AIA Glow Festival is the ultimate festival to unwind. Taking place at Sentosa Island with a total festival space that spans 17,000 sqm (approximately the size of more than 38 basketball courts), it promises you an experience that allows you to fully unwind, away from the hustle and bustle of your daily lives. From YOGA for all levels, amazing live MUSIC, a 5km charity fun RUN and mouth-watering festival FEASTS – participants can do one, pick some or try them all. 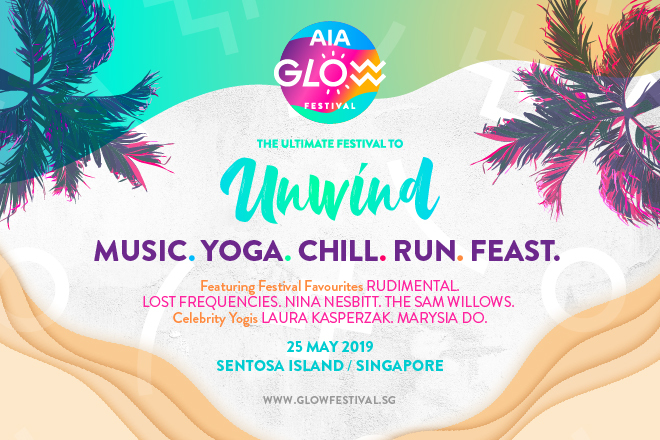 The festival features international yoga teachers Marysia Do, and Laura Kasperzak and multi-award winning music acts such as Lost Frequencies, Rudimental, Nina Nesbitt and local band, The Sam Willows. Participants will also be able to celebrate the spirit of community and the joy of giving back at the festival’s 5km run. For every ‘glow-getter’ who completes the run, AIA Singapore will donate S$10 to Children’s Wishing Well, up to S$100,000.